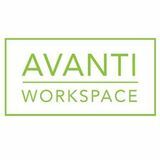 Avanti Workspace is a shared office for a diverse community of startups, independent professionals, and small business teams. What sets us apart from executive office suites and other co-working spaces, is that we offer a flexible workspace designed to fit your unique needs. Because everyone needs something different to move them forward we have developed a space that will allow you to create what you need, when you need it.